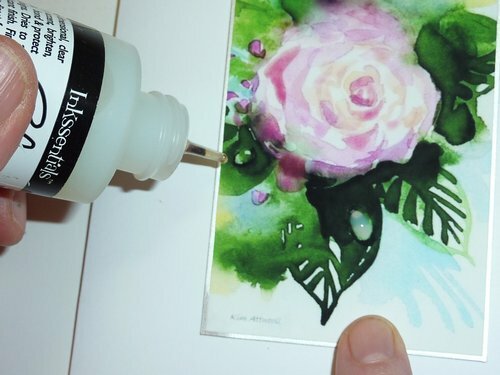 Here you'll learn one of our card making ideas that takes your card to the next level. A water drop on a flower or a leaf is such an exquisite detail that will draw in the viewer. You'll learn how to make those water drops have a real 3D look. Your friends will be amazed. Click on any image to make it larger. Click again to return to this page. 1. I use Inkssentials Glossy Accents for this effect. It's available in most stamping stores. It makes a wonderful clear mound. 2. Apply it to areas where you want a drop of water. 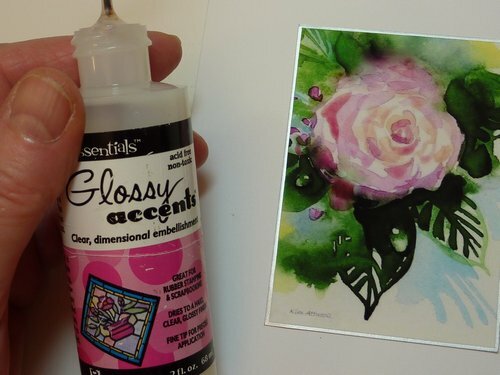 In this example of the Wash Rose, I've painted the water drops, this embellishment makes them pop even more. 3. 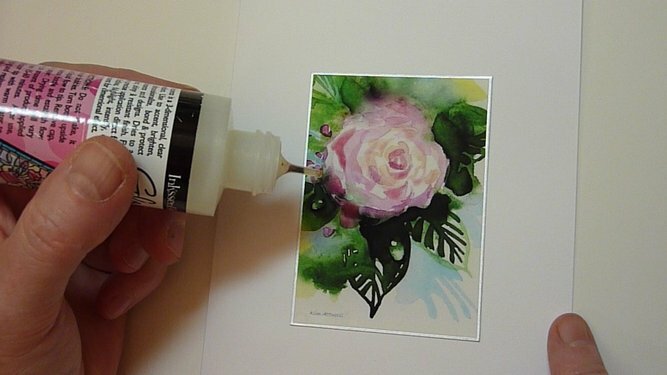 I fill the area of the drop with a rounded mound of the Glossy Accents clear paint. 4. Put the card aside to dry for at least 24 hours. As with other effects that we use, you don't need to have a prepainted water drop to make this work.